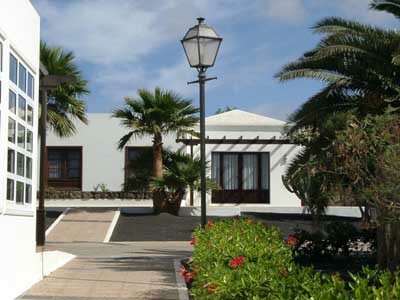 Address: Urbanización Montaña Roja, s/n, Playa Blanca (Lanzarote), Islas Canarias. A short journey from Lanzarote's fabulous beaches, these stylish apartments are built in a typical, white-village design and have a great outdoor pool. Enjoy the landscaped gardens and bar-restaurant. Free WiFi is available throughout. Soak up Lanzarotes sunshine on the private balcony of your Jardines del Sol Bungalow. Be adventurous in the kitchen and lovingly prepare meals in the well-equipped interiors. Relax with a drink in the stylish living area. Kids will have fun and make new friends in the play area and you can have fun with all the family on the over-sized chess set. Enjoy a quiet read in the shade of the exotic plants of the Jardines del Sols pretty gardens. Guests are required to show a photo identification and credit card upon check-in. Please note that all Special Requests are subject to availability and additional charges may apply. This property will not accommodate hen, stag or similar parties. A damage deposit of EUR 100 is required on arrival. This will be collected by credit card. You should be reimbursed within 14 days of check-out. Your deposit will be refunded in full via credit card, subject to an inspection of the property. Please inform Jardines del Sol By Diamond Resorts in advance of your expected arrival time. You can use the Special Requests box when booking, or contact the property directly with the contact details provided in your confirmation. When booking 5 rooms or more, different policies and additional supplements may apply. Please contact the property in advance for details. Please note that children of all ages are included in the maximum occupancy of the apartments. If you have any accessibility requirements or needs that you wish to discuss, please contact the property within 48 hours of booking. Adapted units are assigned on a first come, first serve basis and are subject to availability.